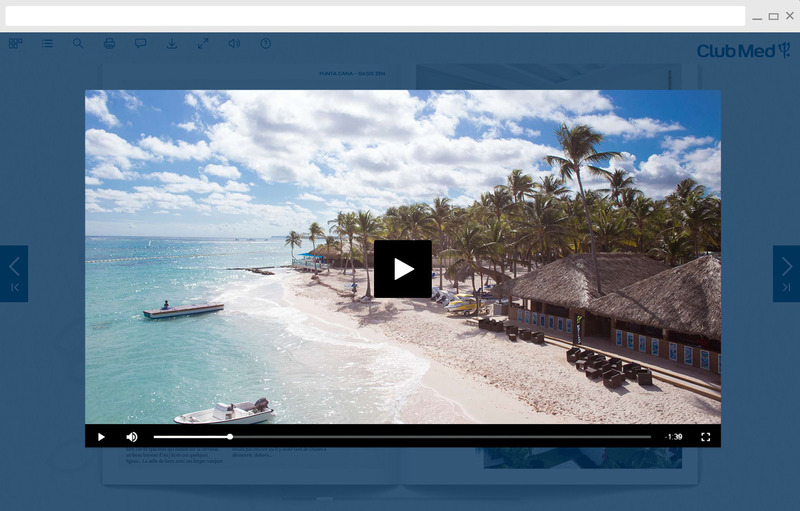 Your Fluidbook can contain videos directly integrated into the pages or attached as pop-ups. Give us your videos in any format and we’ll do all the conversion work. Or just give us a link (YouTube, Dailymotion or Vimeo) and we’ll extract the video file. By putting your videos in a pop-up you provide perfect viewing comfort: they open directly in large format for a comfortable view, and all without closing your publication. Our video player includes a simple but fully-featured control bar. Integrating your videos directly into the pages of your brochure will guarantee an enhanced visual impact for your publication. Nothing obscures the brochure and readers can continue reading without losing their place.